A student uses the app Canva to create a visual report about a human body system. New ways of reading and writing made available by technology, as well as the competencies associated with them, such as design, navigation, and collaboration. The authors conducted research in elementary classrooms, creating digital writing camps for students. 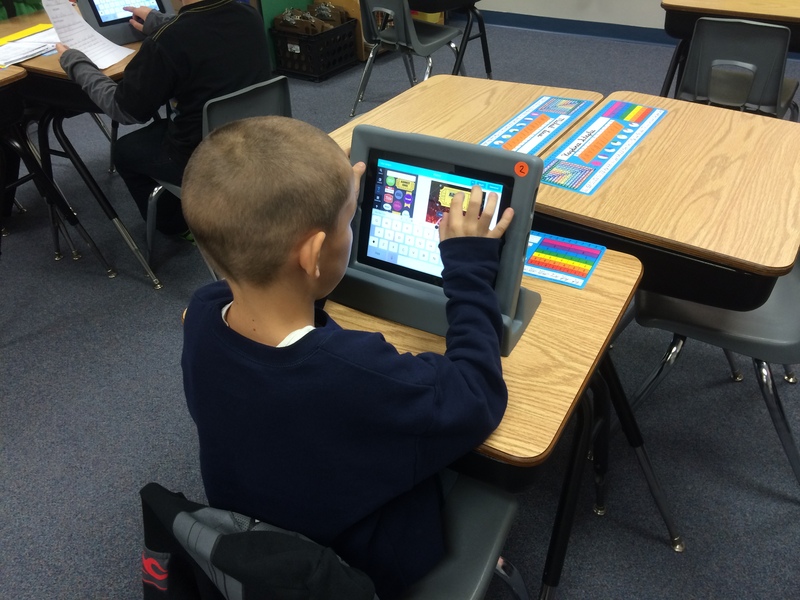 They documented several benefits to infusing technology into writing. One example is some students were viewed as technology experts. Although they had not been recognized as strong writers in the past, these students saw themselves as successful in their roles of helping peers translate ideas into publish-ready pieces. Subsequently, teacher instruction was not always necessary. I think I’m just bored of writing with paper and pencil because it’s what I always use. The International Reading Association has changed their name to the International Literacy Association, or ILA. Garcia finds this shift is about more than just technology. “Conceptions of literacy are rooted in language and culture and have been used to distinguish between classes and deny or confer opportunity since Roman times.” Equitable access to powerful instruction is a part of this shift as much as anything else. To be clear, “ILA defines literacy as the ability to identify, understand, interpret, create, compute, and communicate using visual, audible, and digital materials across all disciplines and in any context.” Garcia takes special note of the opportunities that can be provided for students with a broader definition of literacy. When teachers understand how different cultures may interact and utilize tools for reading and writing, what it means to be literate is redefined. This associate professor worked in tandem with a classroom of primarily Spanish-English emergent bilinguals. They set out to clear up a misconception with their students, that writing is only something you do in schools. The author notes that pedagogy came first, and then the tools. This helped the class “understand the larger purpose and context before starting the process”, as well as to “position the students as experts”. A high school English teacher explores the ups and downs of implementing blogging in her classroom. Baldino’s goal was to find a way to make homework more purposeful, while at the same time teaching her students digital citizenship skills. What she found was the work involved in monitoring student writing was no less when compared to just pencil and paper. However, the benefits of student engagement, more writing produced, and deeper learning made the experience worth it. Blogging made me more conscious and aware of other people’s feelings online, where it is especially hard to understand others. The teacher was also creative in the activities she assigned to her students. For example, she wondered aloud if Paul Revere’s ride might have benefited from having access to the social media tool Twitter. The follow-up posts and comments not only deepened the students’ learning about this topic, but also gave them a chance to apply their digital citizenship skills within a meaningful context. The duplicated pieces of information–spoken and written–don’t positively reinforce one another; instead, the two effectively flood students’ abilities to handle the information. The author also notes the benefits of keeping things strictly visual in slideshows, with accompanying verbal explanations. “Mixing visual cues with auditory explanations (in math and science classrooms, in particular) are essential and effective.” If teachers choose this method with visuals, it is also important that the speaking and listening resembles a dialogue. Delivering content in a conversational tone will increase learning. As I was preparing my slides for our staff professional development day, I started to realize that it was getting a bit wordy. Although the topic was about creativity and writing, the quotes I was including from profound educational thinkers took up a whole slide each. My follow up questions were falling flat. In a spark of ingenuinity, my wife had an idea for keeping things simple. She suggested listing quotes from books of well-known authors, and then having the staff try to guess the source. The idea would be that through recognizing authors’ voices, we might better assess how well we can recognize our own students’ voices in their writing. Of course, it went over very well. 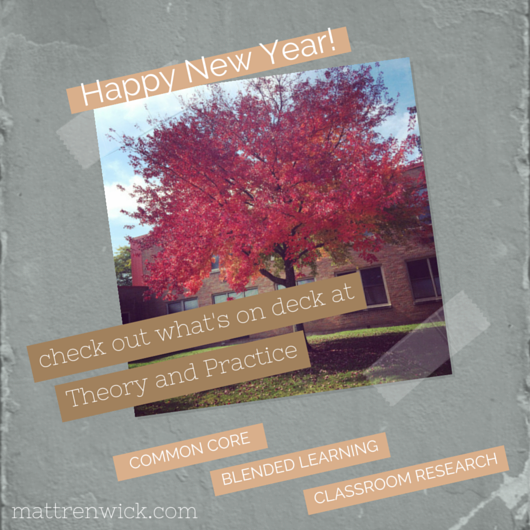 I am a novice as I write about new literacies. There is much I have to learn. What I do know at this time is literacy is about more than text. That genie is not going back into the bottle. The definition of literacy has expanded at a similar rate as technology. New ways of communicating are being developed as we speak (or read?). Concepts such as blogging and digital citizenship have become critical communication skills in a short amount of time. So it begs the question: If schools are not using these tools during instruction, are they depriving students of necessary global and cultural learning experiences? However, if the extent of technology integration is a basic slide show that simply regurgitates facts, would we be better off without these digital tools? I am going to continue to ponder these questions as I build a better understanding of literacy in the 21st century. The co-author of Blended: Using Disruptive Innovation to Improve Schools highlights this well-known charter school network’s attempts at blended learning. He applauds the organization’s focus on “addressing their core problems with sustaining models of blended learning”, such as students rotating among learning stations. Horn also encourages KIPP leaders to explore disruptive models. This is increasingly important for students who have no access to essential learning courses, referred to as “nonconsumption opportunities”. An example would be inner city schools that cannot hire highly qualified math and science teachers. Online courses would be one solution. “Imagine a classroom so engaging that students thought they were playing all day – and learning science, social studies, math, and language in the process.” The authors, a principal and two preschool teachers respectively, offer this promise for personalized learning. Through their work in an elementary school in Kentucky, they have found that this method of instruction successfully “integrates online activities with traditional face-to-face classroom instruction”. They highlight several benefits that blended learning can provide for students: a lower student/teacher ratio (due to rotations), targeted instruction using real time assessments, and an opportunity to “prepare students for complex, technology-enhanced instruction”. For schools to get started, Evans, Hawkins, and McCrary suggest leaders recruit interested teachers, provide adequate training and resources, and connect building experts with teachers new to this concept. Dan Meyer, a mathematics teacher, studied the online tutorial system Khan Academy for his dissertation. He set out to answer two questions: What are students asked to do? and What do students produce? After completing 88 practice sets, Meyer found that the majority of math problems in Khan Academy expect students to produce a single answer via multiple choice. He concluded that Khan is not closely aligned with the type of mathematical thinking that students are expected to display, such as making an argument to support a solution to a complex problem. Related, I highly recommend viewing Dan Meyer’s TED Talk about mathematics instruction. It has been viewed almost two million times. The beginning image documents the staff retreat my school took part in last fall. 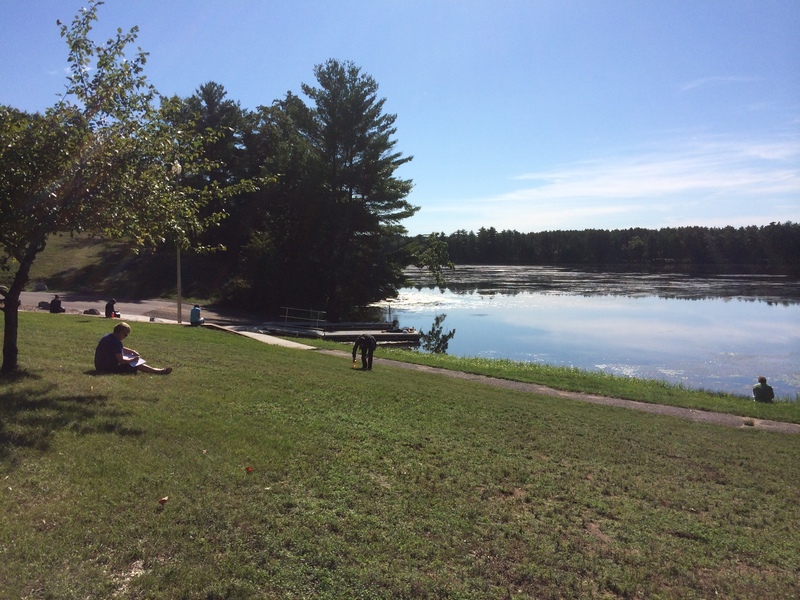 We congregated at an enclosed park shelter with two education consultants, who led us to explore why we went into teaching and to help us reflect on our professional lives. Afterward, both the consultants and some of the staff expressed interest in continuing to discuss the ideas from our time together, based on the book The Courage to Teach by Parker J. Palmer. 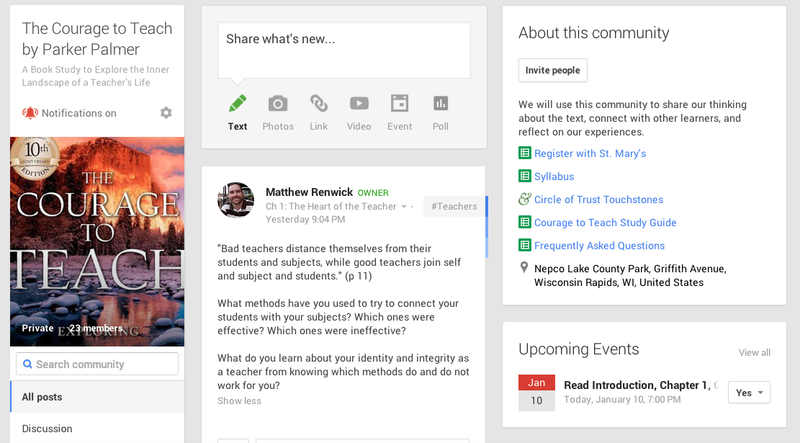 Because time to physically meet is difficult during the school year, we set up a Google+ Community to discuss the book as we read it. We share our thinking for each chapter from the comfort of our own homes, when time allows. This has been welcomed, especially when the temperatures drop below zero here in Central Wisconsin. We answer important questions, write about our experiences, and positively acknowledge each others’ responses. It wasn’t until I read Jeff Wilhelm’s article that I realized that we were engaged in a deep form of blended learning. Once we have finished The Courage to Teach, we will come back to the park and shelter on the first day of spring. We have created our own “third space”, balancing online and in-person experiences to create something possibly greater than either setting could provide alone. I compare this set up to what some of the previous articles prescribe for how blended learning should function in today’s schools. What’s missing? I asked myself. Then it came to me: Connectedness. This is not the same as being connected, such as an online course. It is a concept that Parker Palmer defines as the ability of teachers to “weave a complex web of connections among themselves, their subjects, and their students so that students can learn to weave a world for themselves” (65). Not there isn’t a need for skill and knowledge development through a more formal blended learning environment. Dan Meyer acknowledges this, in spite of his findings. But if lab rotations and real time assessments are all that blended learning can be, then we have failed to use these digital tools to their fullest capacity. As Alan November would ask, Who owns the learning? Certainly not the students. I believe that for education to fully realize technology’s potential in schools, we have to create these third spaces of learning for students and for ourselves. It may not happen all the time. This type of learning is not as easy to assess. More preparation may be required on the part of the teacher. But if we can develop a sense of connectedness from these rich and blended experiences, wouldn’t it be worth it? A professor of public policy from the University of California, Berkeley attempts to clear up misconceptions about the Common Core State Standards. He points out that the focus on high stakes testing originated from the federal government’s Race to the Top program, not the Common Core. In fact, when teachers were polled, Dr. Kirp notes 76% of teachers favor nationwide academic standards. Unfortunately, the general public and many in education still lump the standards and testing together. This opinion piece concludes that “the Obama administration has only itself to blame” for the current uproar over the Common Core. This is an excerpt from Pernille Ripp’s recent digital book, Passionate Learners. She details her initial struggles as a new teacher, just trying to follow the script laid out in the curriculum guides. After some experience and reflection, Pernille realized that standards are only a starting point, and that we “have to find our own freedom and creativity within them”. One successful strategy she found was determining a unit’s end goal, and then working backwards in preparing instruction. 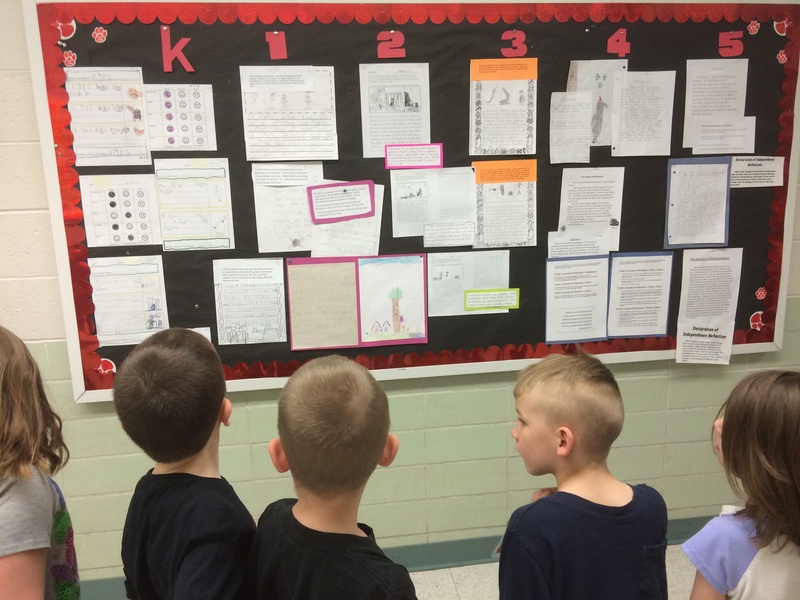 In addition, Pernille involves her students in determining how they can show what they know. For example, her class decided to create a documentary video using digital tools as their culminating project for a unit of study on water life. She realized that this type of assessment informs her about student understanding “better than any test”. 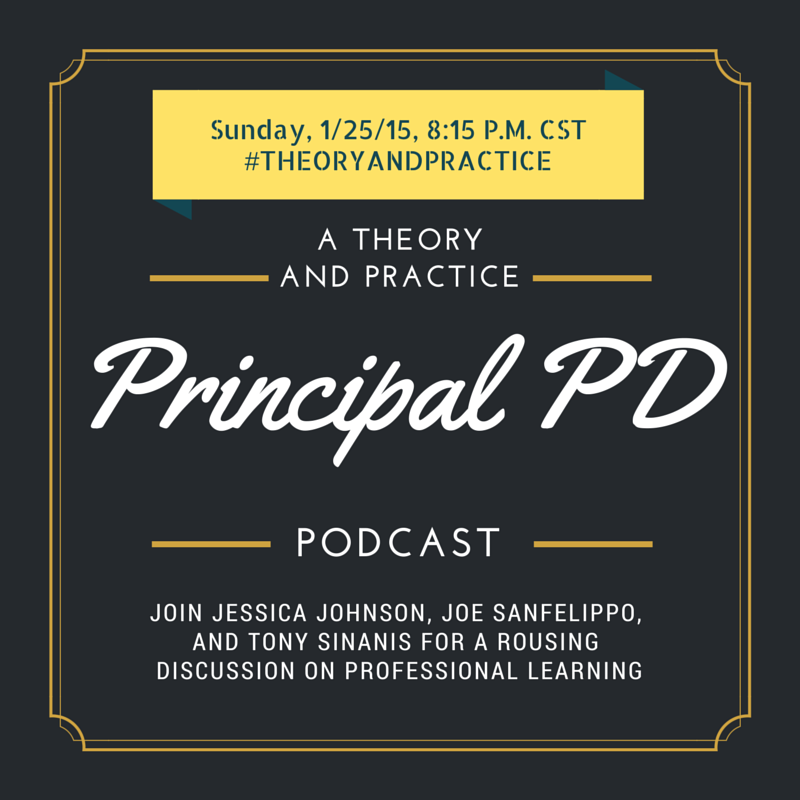 Two well-known educators share their differing perspectives to this provocative question. Sarah Brown Wessling, a high school English teacher and Teacher Laureate for Teaching Channel, appreciates that the Common Core recognizes that “every discipline has its own literacy”. But she also notes that these standards are limited to how teachers implement them, acknowledging that “a roadmap isn’t the vehicle or the road”. In contrast, Stephen Krashen, educational researcher and linguist, starts his commentary by mourning the reduced funding that school libraries have seen recently. He then points out that “we are investing an astonishing amount of money on Common Core testing”. Dr. Krashen goes on to state that these national standards “requires far more testing than the amount required under No Child Left Behind”. In this post for Scholastic, literacy expert and consultant Regie Routman provides a concise history and rationale for the Common Core. She recognizes that national standards were essential when it became “blatantly apparent that not all students in U.S. schools had equal opportunity to learn”. However, without school leaders knowledgable in literacy and best practice, anything that states it is “Common Core-aligned” may be used, possibly leading to an inordinate focus on “isolated skills and/or standards”. Instead, Regie recommends that educators use common sense when applying the standards to daily classroom practice. For instance, professional development offered to teachers should be relevant, aligned with shared beliefs, and ongoing. One day workshops often fail to meet these guidelines. Also, leaders need to read and write extensively. As well, “a culture of trust, inquiry, coaching, collaboration, celebration of strengths, and yes, even joy” should be cultivated within an organization. Although the Common Core English Language Arts Standards are not mentioned in this seminal article, this might be the perfect opportunity to reference it. Allington and Gabriel pull together numerous research studies to support their recommendation of six essential elements that every classroom should provide for students. 1. 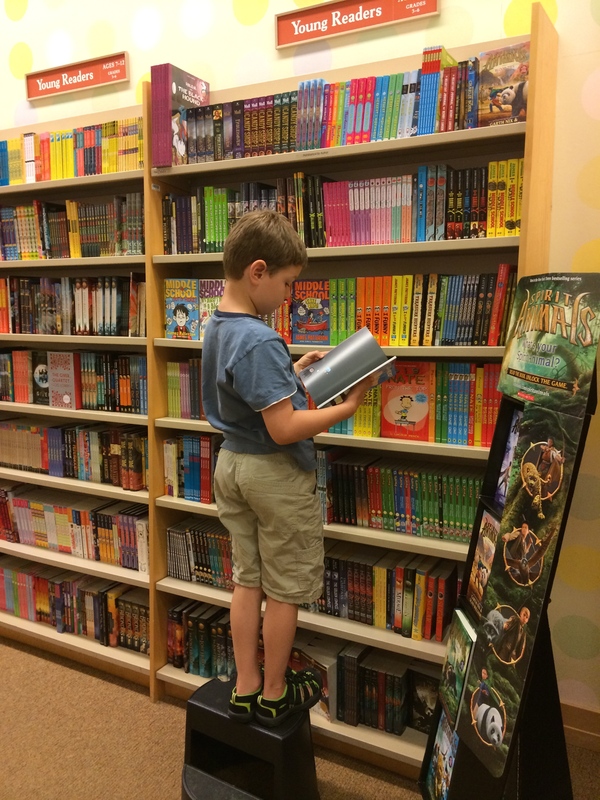 Every child reads something he or she chooses. 2. Every child reads accurately. 3. Every child reads something he or she understands. 4. Every child writes about something personally meaningful. 5. Every child talks with peers about reading and writing. 6. Every child listens to a fluent adult read aloud. The excerpted poem comes from Poetry 180, a website created by Billy Collins when he was the Poet Laureate for the United States. His purpose was to provide high school seniors and their teachers with 180 contemporary poems that they could read in one sitting. No questions, assignments, or any other expectations. Just read and enjoy. Collins evokes his feelings about all the required reading in schools within his excerpted poem, which led to the initiative. He suggests high schools read one poem a day during morning announcements or at end-of-the-day assemblies. It is really too bad that the Common Core has been connected with high-stakes testing, and subsequently with teacher and principal evaluations that use these test scores to measure our effectiveness. This pressure has led to less recreational reading and a lot more stress in schools. Certainly, some of the blame for all of this confusion does rest with the U.S. Department of Education. When well-respected professors like Dr. Kirp and Dr. Krashen cannot even come to consensus on who or what requires these tests, how are every day educators expected to make sense of it all? This should not serve as an excuse, but it is our reality. What is heartening to see are the success stories that educators are sharing within the “constraints” of the Common Core. The clear examples provided by Pernille Ripp, Regie Routman, Richard Allington and Rachael Gabriel show that what works is possible, and even reasonable to expect in classrooms every day. This can happen when we apply a more systematic process to our work and become more strategic in our preparations. Planning with the end in mind helps remove ourselves, at least somewhat, from all of the politics and punditry that are revolving around the Common Core. With standards held in perspective, they can be used as benchmarks of quality, the original intent. These past few years, one resolution that I always seem to make (besides getting more exercise and eating better) is to become more mindful as a professional educator. Theory and Practice might have been indirectly born out of this effort. When I sit back, read and respond to others’ ideas and findings, patterns and trends start to emerge. This regular reflection helps me separate the wheat from the chaff. I find it to be a great antidote for countering the misconceptions that seem to perpetuate despite the evidence against them. I hope you will join me in 2015 to continue to become more mindful and better informed.